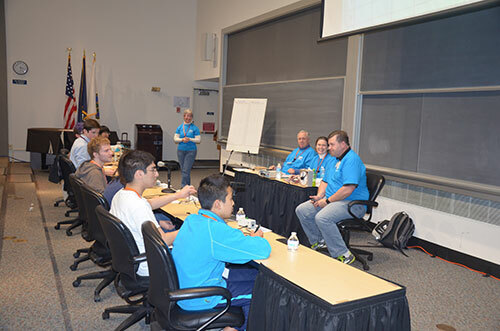 The final match of the 2015 Virginia Regional High School Science Bowl pitted Langley High School, McLean, against Thomas Jefferson High School for Science and Technology, Alexandria. The team from TJHSST won the day and advanced to the national finals. Teams that didn't make it into the semi-finals participated in the Stay All Day design and engineering challenge. Pictured are photos from the 2015 event. 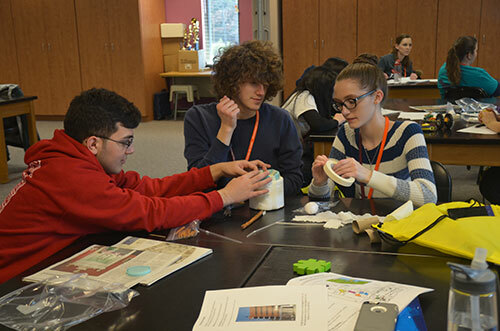 NEWPORT NEWS, Va. – Some of the brightest young minds in the Commonwealth will meet at the U.S. Department of Energy's Jefferson Lab on February 6, to compete at the Virginia Regional High School Science Bowl for a place in the National Science Bowl® finals. Teams from 19 schools are registered for this year's competition. 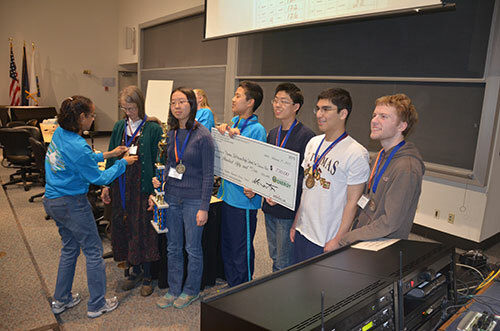 The U.S. Department of Energy (DOE) National Science Bowl® – sponsored by the DOE’s Office of Science – is an annual academic competition among teams of four and five students. Since the inception of the National Science Bowl®, more than 250,000 students have participated in regional tournaments around the country. The teams face off in an intense question-and-answer format where contestants are quizzed on their knowledge of math and a range of science disciplines, including biology, chemistry, Earth and space science, physics and energy. The top three teams earn cash prizes and team trophies for their respective schools. The top team also wins an expenses-paid trip to the National Science Bowl Finals to be held in Washington, D.C., April 28 – May 2. 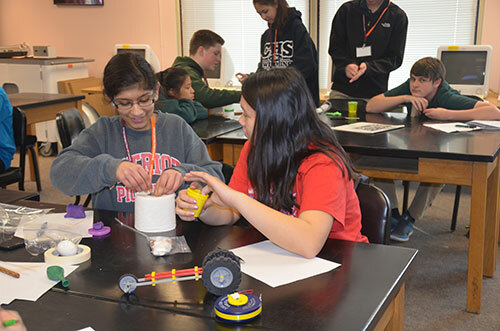 “These events champion an interest in science, math, engineering and technology among our nation's youth,” notes Jan Tyler, Jefferson Lab's Science Education manager. “Participation in the National Science Bowl® encourages students to explore the fields of math and science outside of the classroom, helping them to excel in the competition as well as in school, and preparing them to understand and excel in a modern society. In addition, having this event at Jefferson Lab exposes the next generation of scientists, engineers and innovators to the lab’s staff who volunteer during the competition, providing the students with more insight into the exciting opportunities and variety of possibilities of pursuing a DOE-related career,” Tyler points out. “Nurturing interest in and knowledge of science, math and technology will help ensure America's strong competitive edge,” she adds. The afternoon semi-final and final rounds held in the CEBAF Center auditorium and beginning around 1 p.m. will be open to the public. Jefferson Lab will also host the Virginia Regional Middle School Science Bowl on Saturday, March 5.